Let’s dive in to the recipe! Wash the Prawns well. (I used the frozen ones so I had to thaw for 15-20 mins by putting it under the tap for 5 mins. and then keeping in a colander to strain for another 15 mins.). Add half the red chilli powder, a pinch of salt and a few drops of lemon juice to the prawns and mix well. Keep aside for 15 mins. In a large non-stick pan (kadhai) melt salted butter. Add the chopped garlic while the butter is melting on medium to low flame and saute for 2 mins. Add olive oil in this and stir. Now add the prawns to this and saute for 1-2 mins. Add the black pepper powder, remaining red chilli powder and salt (be careful with the salt as we had added some salt in Step 1 and also using salted butter – so you would require very little salt to be added at this stage). 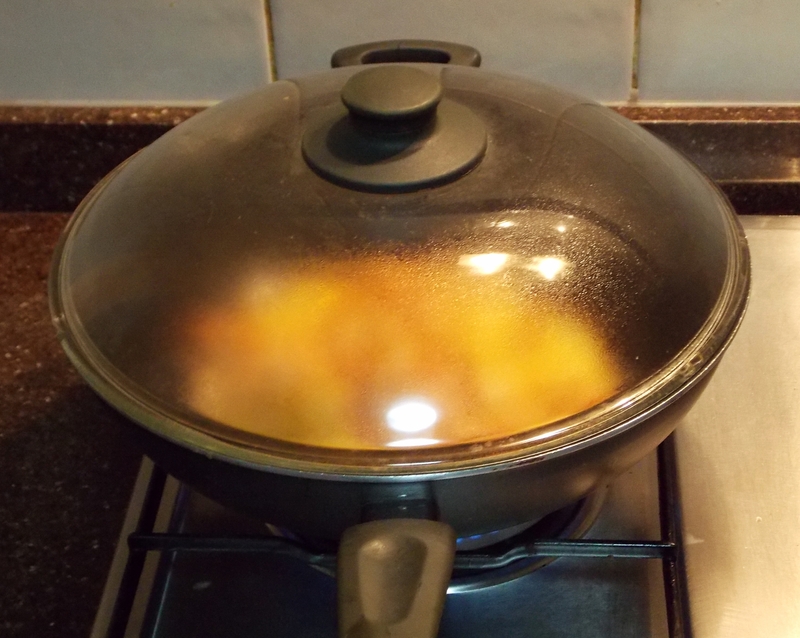 Cover with the lid and cook for 15 mins. (keep checking and stirring in between to ensure that the prawns are not sticking to the pan or getting too brown from one side). Voila! 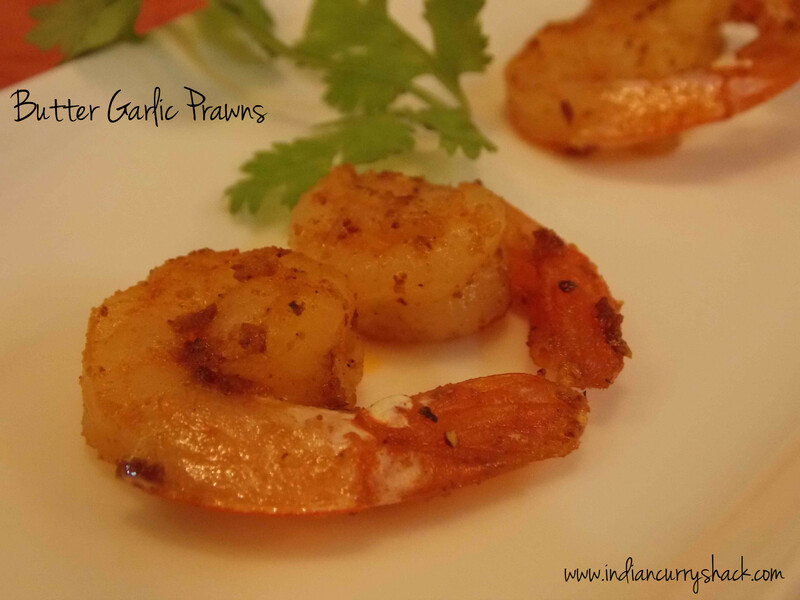 You have your lovely Butter Garlic Prawns staring at you. 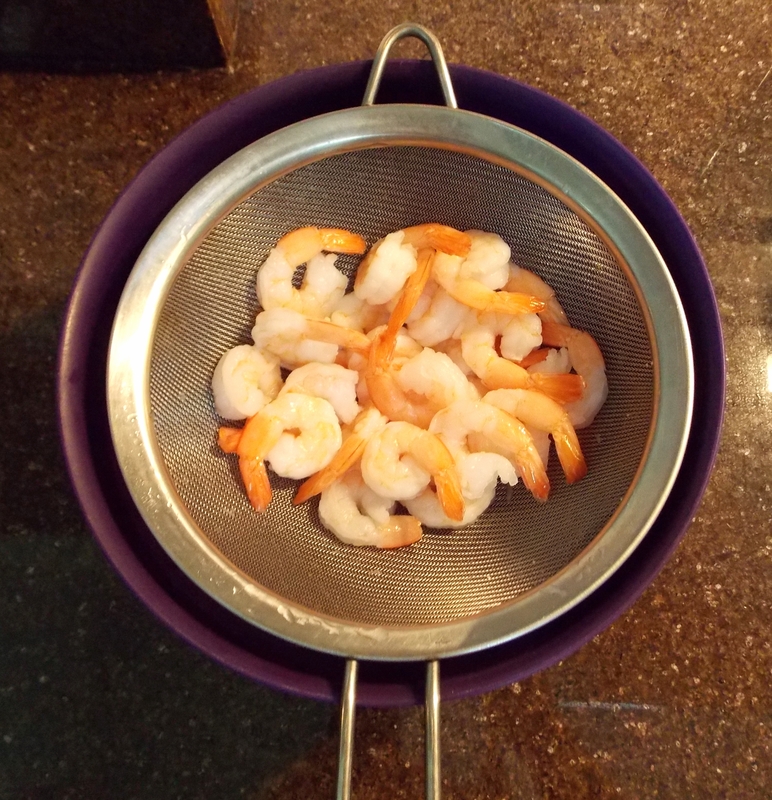 Take out just the prawns in a plate (without the butter, oil and garlic mixture which is in the pan). Garnish the prawns with coriander and in your serving plate pour the butter, oil and garlic mixture on top of the prawns. Optional Step: Heat the remaining butter, oil and garlic mixture again on low flame and toss the orange slices for a minute. Then add this mixture on top of the prawns. It will give a nice flavour to the dish.